Don't you wish you could reverse the aging process? With the new diagnostic and treatment tools now available aging has become a treatable condition. Some of the undesirable aspects of aging can be slowed, stopped and even reversed! My training is in Chiropractic, Clinical Nutrition, Mind & Consciousness Expansion and Hypnotherapy. I received a Bachelors and Masters degree from the University of Florida, a Doctorate in Chiropractic from Palmer College of Chiropractic and a Masters in Hypnosis from Palo Alto School of Hypnotherapy. clinic uses "outside the box" thinking to attempt to get at the root of issues. Not being limited by the western medicine paradigm, we are free to explore alternative healing approaches. Often these approaches use some combination of Nutritional Medicine, Mind Expansion and Emotional Release. When combined in this way patients often get their desired results." "Along with my clinical practice, I write, lead groups, occasionally lecture and teach meditation. I have a special interest and continue to explore the expansion of the mind and human consciousness. Using a variety of approaches and tools that I have learned I work with individuals and groups exploring the many faceted aspects of human life and the mind that help free us from the unnecessary and painful mind created suffering." 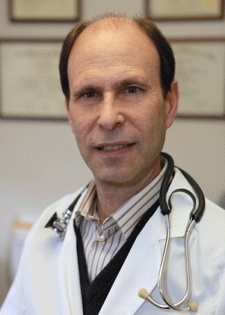 Dr. Forrest is available for consultations in the US, Canada and Europe. Start a new chapter in your life of health and wellness by checking out the Forrest Health Center today!